The year is almost over and for many of us, the most exciting festive season – Christmas, if you didn’t know – is almost upon us. More so than any other festive season, Christmas tends to start early: we buy our Christmas tree months in advance, put up decorations and avoid the horrible shopping queues by doing our shopping weeks before! Most likely, you have already completed the majority of your Christmas shopping – but there isn’t long left for you to finish it entirely. Maybe you are looking for presents for your marketing team – or maybe you are a marketer yourself! Either way, getting Christmas gifts for marketers, or for yourself, can be difficult if you are unsure of where to start! There's nothing worse than a cold and wet winter morning. On those days, I want nothing more than a warm cup of coffee to warm my hands before I get on with my work. Unfortunately, more often than not, by the time I get into the office the coffee jar is empty; someone's had the last bit of coffee and forgotten to get more. I really want that cup of coffee but it's just too cold to go outside and I really don't want to leave the warmth of the office! Surely there's a solution? There is. It's called: MistoBox. 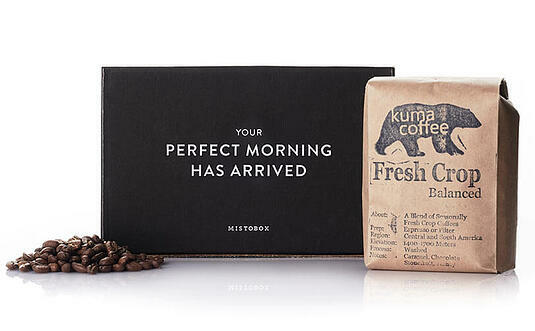 A MistoBox coffee subscription means you can order 12 ounce bags of award-winning coffee to your door at whichever frequency suits you. Just work out how many cups of coffee you drink on a weekly basis, place an order, and you are good to go! Office cubicles are quickly fading into the past and open-plan offices have taken their place. Office workers are no longer segregated from each other and have the opportunity to work more closely with their colleagues, laugh together and share knowledge. Open floor plans are designed to bolster collaboration, engagement and active work culture - but they do come with their fair share of distractions; client calls, brainstorming sessions, stand up meetings - you name it, the office has it! At times like this, there's nothing better than a pair of noise-cancelling headphones that can keep the noise of the office out and ensure your music doesn't leak out. With noise-cancelling headphones, you can listen to your favourite tunes with zero interference from the outside world; the key to musical satisfaction and quiet. Below are just two of our top picks. Any successful Inbound Marketer will appreciate that Inbound Marketing is not an activity that delivers instant results. 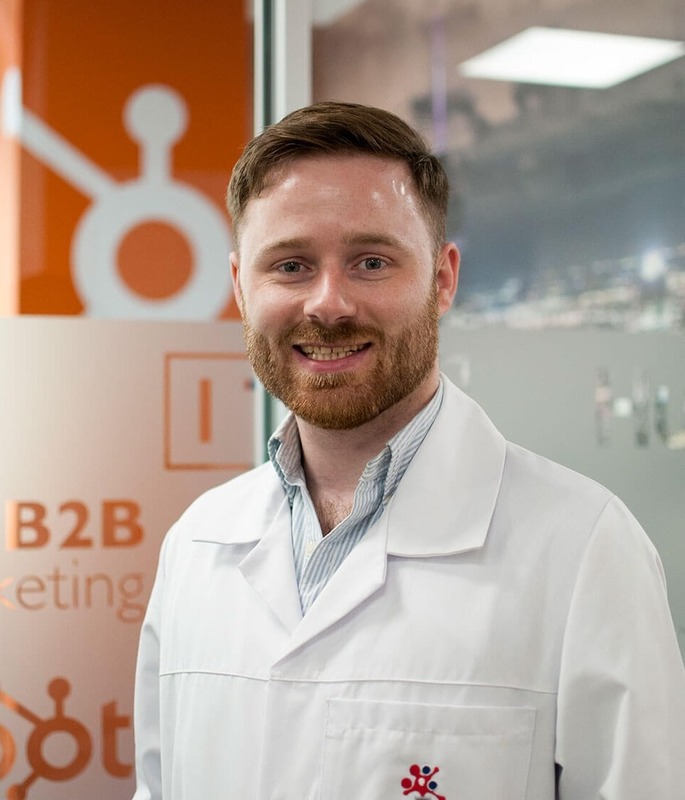 To achieve success with Inbound Marketing programmes, you must consistently produce content to educate your prospects, promote your business as the number one solution in the marketspace it occupies, engage with your leads and once they become paying customers, delight them! This book by Malcolm Gladwell will help you to get into this mindset. In his book, The Tipping Point: How Little Things Can Make a Big Difference, Gladwell explains that the 'tipping point' is that "magic moment when ideas, trends and social behaviour cross a threshold, tip and spread like wildfire". Just as Gladwell's book focuses on all the little things coming together to make a profound impact on society - Inbound Marketing operates in exactly the same way. It is a series of carefully considered actions to help your business to attract more potential customers, convert them into leads, and generate more business revenue. As you continue these activities and refine them, your campaigns start to deliver more and more return on investment. The Tipping Point is the perfect present for any marketing employee looking to really get into the Inbound mindset and start improving their day-to-day activities. Enjoy marketing conferences? Well, if you do, you don't want to miss Inbound. Inbound is HubSpot's annual conference, held in Boston, USA, and is the must attend marketing event of the year! Our team have attended for the last six years and always come back with a bunch of new ideas and ways to implement them - the image above is me at last years event! From world-class speakers to small training sessions, workshops and presentations, the Inbound event has everything you need to inspire, educate and motivate any marketing employee! HubSpot also runs various discounts throughout the year, so make sure you sign up to keep an eye on the latest offers! You know those noise-cancelling headphones that you spent your hard earned money on? Well why not break them in with your favourite tunes by getting a Spotify or Apple Music subscription? 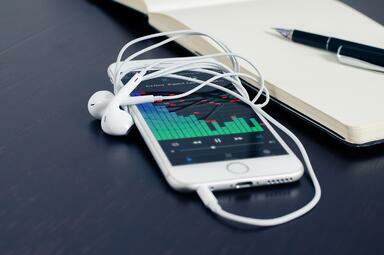 From the latest chart toppers to playlists from different generations and eras - a music subscription is a great gift to help any marketing employee stay energetic and motivated throughout the day. Everyone has a time when they need to put on the headphones and separate themselves from the office environment (that or help turn the office into a Friday afternoon disco). Despite two decades having passed since Bill Gates' seminal article Content is King, content - in general - continues to be king. High-quality, informative content has dominated the marketing industry for several years, especially as more and more customers spend their time online. Blog posts, articles, eBooks, whitepapers, infographics, video content and other formats provide brands and businesses with the means to reach today's digital-first customer and engage with them when they are looking for information or answers online. With this considered, improving your business' content marketing is conducive to its success in the digital landscape; after all, content is the backbone of any attempt to interact with your business' potential prospects. If your potential prospects have questions, you need to have content that answers them. Also, content will establish thought leadership and cement your business as an authority on a specific subject matter. If you are looking to better engage with your customers and gain the competitive edge through high-quality content, you definitely need Joe Pulizzi's book, Epic Content Marketing: How to Tell a Different Story, Break through the Clutter, and Win More Customers by Markeitng Less. Joe Pulizzi's book will help you to reach more customers than ever with targeted content, develop strategies and tailor your content for widespread distribution on social media, Google, and the mainstream press. No Wi-Fi? Looking for signal? This Wi-Fi detector shirt will light up when you are in a Wi-Fi zone. It displays the current Wi-Fi signal strength to yourself and everyone around you and the glowing bars on the front of the shirt will change as the surrounding Wi-FI signal strength fluctuates! No more running around trying to find a good Wi-Fi signal when you are working outside the office; just get the shirt to do it for you! As marketers - we take a lot of photos. They might be for the business' Instagram profile, for Twitter, Facebook or maybe some other social media channel. (Learn more about choosing the right social media platform for your business here). Regardless, we love to take a good photo. In the past, taking high-quality photos could only be achieved with expensive cameras - fortunately, most smartphones today are capable of delivering stunning, high-quality photos without the premium price tag that most standalone cameras come with. But stock photos can be well - plain. They lack the variety, vibrancy and wide angles that traditional cameras are capable of - but what if you could replicate that? So, instead of buying a new phone or a standalone camera, get a lens kit! A lens kit provides you with top-of-the-range lenses that can be used to take a variety of photos; from wide-angle shots, rounded images, super-wide angle shots, and much more. These lenses can clip directly onto your phone's camera, providing you with more photo options and greater quality! As we mentioned previously, content is king - but what's the point of creating high-quality content if it is full of grammatical errors? Well with Grammarly you no longer need to worry. Grammarly is the world's foremost language-writing enhancement platform and is designed to provide proofreading, spell checking and grammar checking. Just put your content into Grammarly's platform and find out what's wrong or needs restructuring. We, as marketers, create a lot of content - so it can be easy to make mistakes that go unnoticed! Everybody Writes: Your Go-to Guide to Creating Ridiculously Good Content by marketing veteran Ann Hadley, will help you to improve your writing and succeed in the content-driven world we live in. Everybody Writes highlights the simple fact that content is currency and everyone writes - whether they are a marketer, salesperson or website developer. The fact is that we are alll relying on our words to carry our marketing message and to engage with prospects - and, with that considered, we all need to be great at writing! It's a great gift for any marketer - or anyone in the business - looking to educate themselves on creating high-quality and compelling content. While there are more stressful jobs, marketers don't exactly have it easy. More often than not, people ask me "what is it that you actually do in marketing?" and often my response is: "everything". Marketers typically wear a lot of hats and juggle a lot of balls - meaning we dip in and out of everything in the digital marketing spectrum; from content marketing, website design and automation to search engine optimisation (SEO), pay-per-click and social media activity. There is, evidently, a lot to do - and all of these activities need to be monitored and managed. Marketing overload is a common occurence! So, as marketers, it's important to step back, relax and take everything in - and you can do that with the Headspace. Headspace is a digital service that provides guided meditation sessions and mindfulness training. It's free to sign up, but for more bespoke content you will have to subscribe. 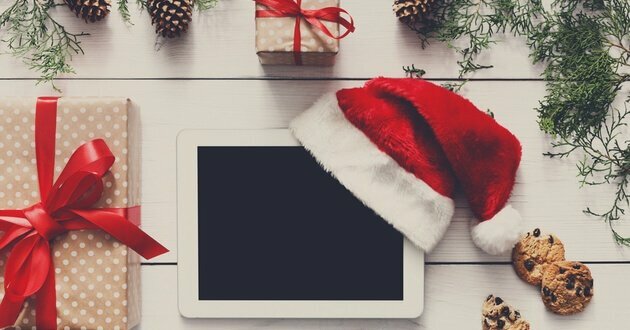 That concludes my list of Christmas gifts for marketers that you could should get - hopefully this list provides you with some ideas!